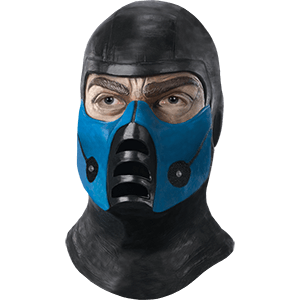 We offer a full selection of licensed movie replicas that includes swords, armour, helmets, clothing, and much more. These licensed replicas are from blockbuster movies over the years and most of them come with certificates of authenticity. We have swords and collectibles from movies like Eragon, Frank Miller's 300, Indiana Jones, Lord of the Rings, Rambo, Tristan and Isolde and Star Wars. 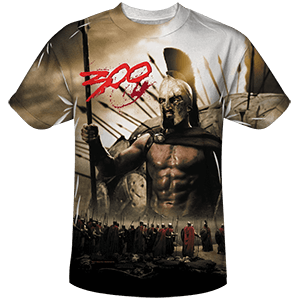 Many of these licensed replicas, sword, helmets, armour and clothing are limited editions, so do not wait to get them. Once these licensed products are gone, they are gone for good. We also carry comic book character memorabilia and license products. Our comic book characters include Iron Man, Thor, X-men, the Phantom, Cyclops, Magneto, and many more. Stay tuned to this page for new additions to our selection of movie replicas and licensed products. 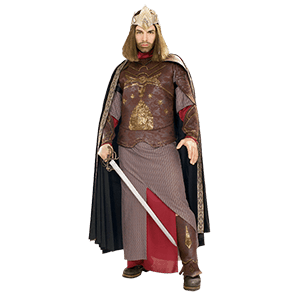 We carry ever popular Lord of the Ring collectibles, clothing, and costumes. 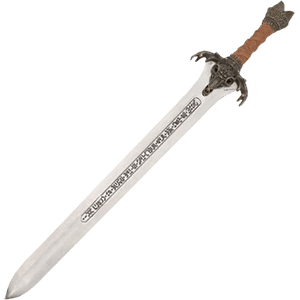 We offer officially licensed Lord of the Ring swords, daggers, axes and staffs from the movie. 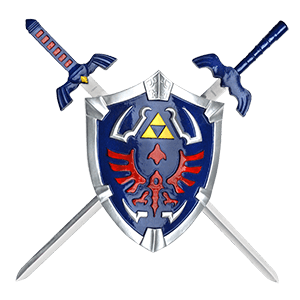 The most well known swords are the Narsil sword, Glamdring sword, Strider sword, Anduril sword, Legolas daggers and the Elven knife. 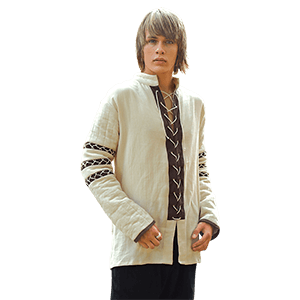 Shop here as well for Lord of the Ring costumes and clothing of your favorite characters from the movie. We even have exclusive fantasy styled bows that were inspired from The Lord of the Rings in the archery section. Finally, to make your Lord of the Ring costume authentic, we have high quality Lord of the Ring jewelry and fully functional Lord of the Ring pipes. With over 100 million copies sold in over 40 languages, millions have grown up with The Lord of the Rings, the classic epic tale considered by millions to be the greatest fantasy-adventure story ever told. J.R.R. Tolkiens phenomenal epic trilogy chronicles the struggle between good and evil for possession of a magical ring. The book trilogy, named the most popular book of the 20th Century, is the motion picture event of the 21st Century. The Lord of the Rings is presented in a trilogy of feature films from New Line Cinema, beginning with the blockbusters The Fellowship of the Ring and The Two Towers, and with the third film, The Return of the King, released December 2003. A work of sheer invention on a staggering scale, The Lord of the Rings takes us back to Middle-earth, an era that predates written history, where humans share the world with immortal elves, powerful wizards, and industrious dwarves. Before there was the Lord of the Rings Trilogy, there was The Hobbit. This fantasy novel captivated millions with its clever story, which tells the tale of a homebody hobbit who is thrust from his home by a company of dwarves to seek fame, fortune, and adventure in a world that he, despite being a part of it, could only begin to fathom or wonder at. The Hobbit, also known under its full title of The Hobbit, or There and Back Again, was written by acclaimed author J. R. R. Tolkien and was published on September 21 in 1937. It inevitably achieved world-wide acclaim, and it was the clamor for more that led Tolkien to begin writing his famous trilogy later that year. The Hobbit is all about Bilbo Baggins, who was once a very traditional and insular hobbit. A company of thirteen dwarves, though, and a wizard all change Bilbos life by introducing him to a life of adventure. Here we pay homage to this old story by breathing new life into its characters, its designs, and its memorable moments by allowing you to enjoy them in your own life. How? We carry a huge assortment of items that are inspired by The Hobbit, as well as a number of licensed products that are perfect for the Tolkien collector! We have fully functional hobbit pipes that allow you to enjoy a nice puff of tobacco, just as the characters might have in their downtime, as well as Hobbit jewelry that is perfect for adorning yourself in the glimmering accessories that hail from the world of Middle-earth. 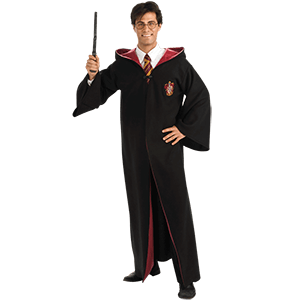 And of course, we also offer a number of costumes that will give you the likeness of your favorite characters, including costumes that will transform you into your favorite wizard, dwarf, or hobbit. 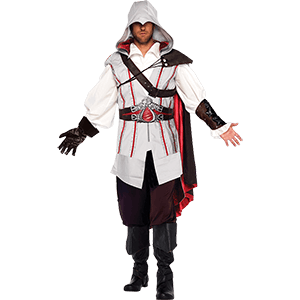 Plus, we have The Hobbit swords and weapons you need to make your costume really stand out. So as you can see, we have all the collectibles you need to celebrate your love of this classic tale, as well as a wide selection of Hobbit t-shirts that all but ensure that you can stay decked out in the gear that shows how much you truly love this novel (as well as the movie series). Find new ways to explore the world of the popular historical drama, Vikings, with the fantastic Vikings merchandise that we offer here! 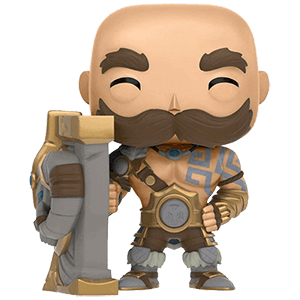 We are proud to provide a fine selection of Vikings collectibles, including the infamous limited edition axe of Ragnar Lothbrok and fun Vikings POP Figures. Check back regularly to see the latest additions to this growing category. The Vikings TV show tells a tale inspired by the saga of the legendary Norse chieftain, Ragnar Lothbrok, during his rise to fame and glory. Beginning as a farmer, he leads raiders to England and eventually becomes the King of Denmark. His brother Rollo, his son Bjorn Ironside, and his wives Lagertha and Aslaug play important roles in his story, as does his friend, Floki. 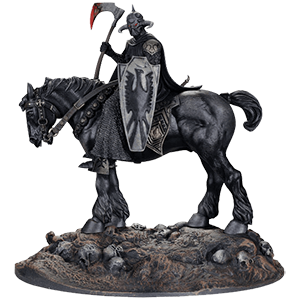 Our Vikings figurines allow you to collect great pieces featuring your favorite characters, and our Vikings replica weapons help you to create an amazing reenactment. Fans of the History channel show are sure to find something to love in this category! Star Wars is perhaps one of the most well-known franchises, especially among fans of science fiction. First released in 1977 with Star Wars Episode IV: A New Hope, the series began with a plot centered around a young man who would rise from humble beginnings to become one of the last chances a war-torn galaxy had at salvation. More than just a story about a single hero, though, Star Wars introduced audiences to a new universe that had audiences talking the moment they left theaters. It also gave us a stellar cast of icons that have remained as popular today as they were when they first hit the silver screen all those years ago. Faces like Han Solo, Boba Fett, Darth Vader, Luke Skywalker, and Leia Organa all captured the hearts and minds of fans. From that single movie, a franchise was born that continue out into infinity, spawning sequels, prequels, and spin-off stories. Here we celebrate Star Wars with a selection of items that try and stay true to the classics, while embracing some of the newer elements that are coming to the franchise. 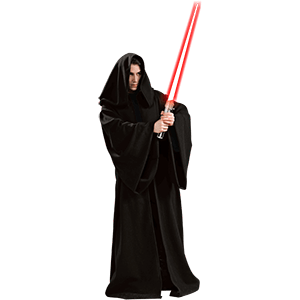 So if you love Star Wars, you should definitely take a moment to look through our selection of t-shirts, POP figures, and accessories - you will find some costume bits, casual apparel, and collectibles that will help you get your fix for the action that happened a long time ago, in a galaxy far, far away. A tale as old as time, Beauty and the Beast has enchanted audiences even before Disneys 1991 animated film told the French fairytale of the beautiful and thoughtful young woman who changed the heart of her captor, a beastly and cursed prince. We are honored to offer fans of this beloved story a selection of licensed collectibles and gear featuring the characters of Beauty and the Beast, including their updated versions as seen in the highly anticipated 2017 live-action film featuring Emma Watson as Belle. 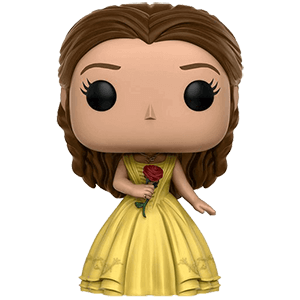 Shop adorable Beauty and the Beast Funko POP figures displaying Belle in her various dresses, including her iconic yellow ball gown. Not only do we offer collectibles and licensed merch featuring the titular couple, but we also carry a selection of fun vinyl figures featuring fan favorite supporting characters like Cogsworth, Mrs Potts, and Lumiere. Take the magic of the classic fairytale with you wherever you go with one of our charming Beauty and the Beast keychains. Whether you are a fan of the traditional story, the beautifully animated Disney film, or the live-action remake, we invite you to be our guest and shop our licensed Beauty and the Beast gifts and personal collectibles sure to enchant. 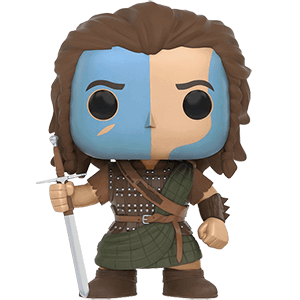 Braveheart is the epic and award-winning tale about Scottish-born rebel William Wallace, whose fight against the English forces is nothing short of legendary. But this living legend did not fight the English with his bare hands; he did it garbed as a true Scottish warrior. 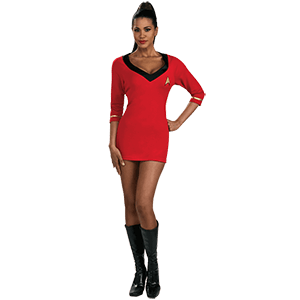 Here, we are proud to offer you a new line of collectibles: available for your purchasing pleasures are a number of stellar items, taken straight from the movie and delivered directly to your personal collection. Here, you will find a number of items, from armor to clothing, all designed and representative of what was seen during the course of Mel Gibsons Braveheart. 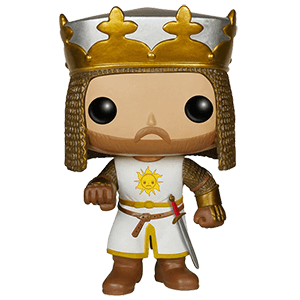 And of course, no set of Braveheart collectables would be complete without a fantastic and accurate sword, which we have, also. These items are fantastic for any fan of the movie: they really are nothing short of a collectors dream. Each item is meticulously designed so that it is an actual replica from the movie Braveheart, so you can rest assured that whether you wear the armor, the clothing, or wield the sword, its as close-to-accurate to the movie as is humanly possible. 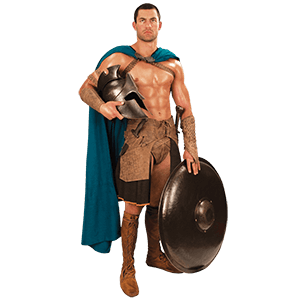 Each item is great not only as a collectors piece, but also works wonders as periodic costume wear, especially for those seeking something influenced by the Scottish warrior. So if you are looking for great, authentic, costume-wear coupled with fantastic memorabilia from the movie Braveheart, then look no further than here. Marto is the exclusive manufacturer of all Conan the Barbarian weapons. We are pleased to bring you a great selection of highly collectible swords, axes, maces and miniature weapons. All of the weapons and collectibles found here are fully licensed. Whether you are a fan of the original Conan or are excited for the new version, start or add to your Conan collection today! All licensed Conan items come with a certificate of authenticity from Marto. These items are crafted in Toledo Spain, and just like all other Marto products, they are superior quality. A British sci-fi series that has gained cult status in pop culture, Doctor Who shares the many adventures of a rogue Time Lord called the Doctor as he travels through time and space in his TARDIS along with various human companions. Regenerating whenever he receives a mortal wound, the Doctor takes on a new appearance and personality with each incarnation, allowing multiple actors to take on the role. Originally on air from 1963 to 1989, the television show gained new popularity with its relaunch in 2005. 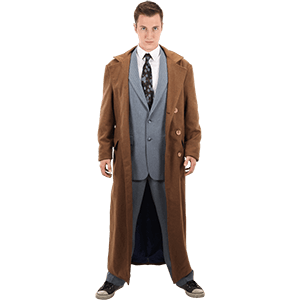 We offer a fantastic selection of Doctor Who merchandise from the original and reboot series. Our Doctor Who t-shirts, Doctor Who drinkware, and other Doctor Who collectibles make it easy to show off your love for the Doctor. Many pieces display the iconic blue police box form of his TARDIS as well as classic villains like the Cybermen and Daleks. Take a moment to browse and you are sure to see something that catches your eye! Reviewed as one of the best first-person shooter video games, the Halo franchise has expanded into multiple game sequels and other media such as novels, comic books, and film. The series involves a war between humanity and an alliance of aliens called the Covenant, who worship an ancient civilization called the Forerunners. Long ago, the Forerunners created Halo rings to destroy the Flood, a parasitic species that feeds upon sentient beings. When activated, Halos destroy all sentient life in the galaxy. 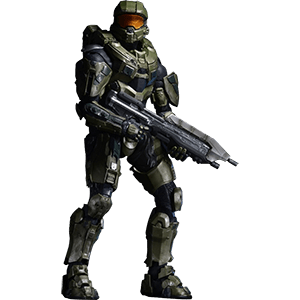 In the game, characters like Master Chief John-117 and his AI, Cortana, attempt to keep the Covenant from attacking humanity and from firing any of the Halo Arrays. 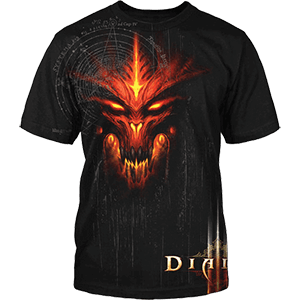 Here we carry an excellent selection of licensed Halo merchandise inspired by the video games for fans to enjoy. 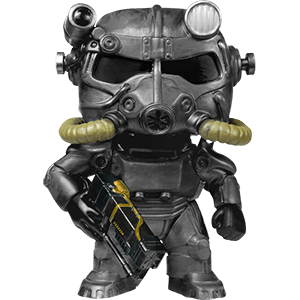 Our Halo products include a number of Halo t-shirt designs for men and women, Halo collectibles like Master Chief figurines, and Halo decor like decorative shields. Show off your love of this military science fiction game by picking out some of our fantastic Halo gamer gear! One of the most first and most popular trading card games of all time, Magic the Gathering features battles that take place between magic wielders, known as planeswalkers, using various kinds of cards to compete with other players. We are pleased to offer a variety of Magic the Gathering products for fans of the game and spinoff novels to enjoy. 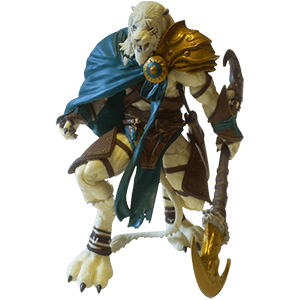 We carry a number of POP figurines and the popular Legacy Collection figures depicting classic characters such as Ajani Goldmane, Chandra Nalaar, Garruk Wildspeaker, Jace Beleren, Liliana Vess, and Nissa Revane. This is a growing category, so check back regularly to see new products that have been added! Minecraft is a unique game. First developed as an indie sandbox game in 2009, it has since grown into a global phenomenon, mostly because of its freedom. Minecraft is, at its most basic, a generated world that allows the player to build virtually anything that their heart desires. And we carry some merchandise that lets you show love for this unique game, no matter where you might go. Perhaps the most iconic feature of Minecraft, save for its near-unlimited freedom, is its blocky style, and many of the Minecraft tees in this section feature a similar design - using Minecraft elements to make Minecraft apparel. We also have t-shirts dedicated to the Minecraft elements, arranged in a periodic table for easy use. And of course, the infamous Creeper makes an appearance on a few, too. More than t-shirts, we also have hoodies and jackets for the Minecraft fan to wear too. 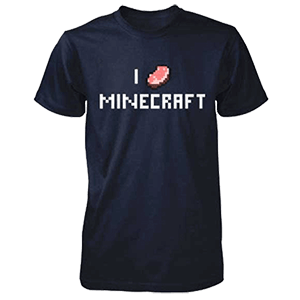 And they are offered in plenty of sizes, so that juniors, kids, and adults alike can enjoy a good piece of Minecraft clothing. And best of all, you do not have to build it yourself. We make it easy for you to show love for the game, while leaving you free to keep on building whatever you want! In the words of Mario, HERE WE GO! An iconic member of Nintendos gaming franchise, Mario is one of the most well-known and beloved video game characters in history. This plumber with an Italian accent would seem an ordinary man, if not for his journeys across the Mushroom Kingdom to rescue princesses and defeat dinosaurs! Before he fought dinosaurs though, Mario began his career in the video game Donkey Kong in 1981. After that, Shigeru Miyamoto created the first Mario game in 1983. Over the years, Mario has become a cultural icon and Nintendos flagship character. Almost every game involves Mario as he fights across the Mushroom Kingdom, grabbing coins, using stars, and saving princesses like Peach and Daisy from the likes of Bowser. 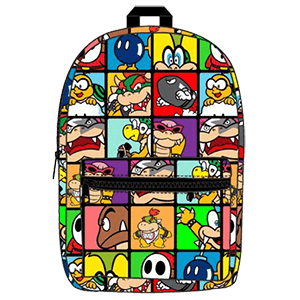 Other games feature additional popular characters, like Marios brother Luigi, his trusty companion Yoshi, Toad, legions of Koopa Troopers, and more. We are no strangers to Marios quest or his games. If you are as much a fan of this plumber as we are, you do not want to miss the selection of Mario Bros. gear that we have collected, like Super Mario t-shirts, collectibles, jewelry, and more. Happy Hunger Games, and may the odds be ever in your favor! Here we offer an assortment of Hunger Games merchandise that is licensed or inspired by the hit trilogy of books by Suzanne Collins and their film adaptations. In the story, Katniss Everdeen and Peeta Mellark appear as two of the latest children chosen to fight in the annual death match in the dystopian universe of Panem. 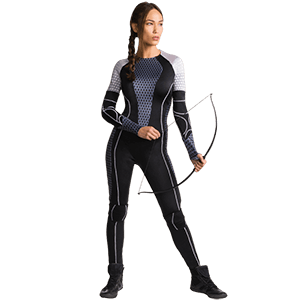 We offer a variety of Hunger Games products for fans to enjoy, including a Katniss Bow and other archery equipment based on her weapon of choice in the series and a number of excellent Hunger Game figurines and trinkets. These Hunger Games collectibles feature Katniss and Peeta, as well as other characters like the colorful Effie Trinket and sociopathic President Snow. Check back regularly to see newly added items! We are proud to announce a new clothing line from the Showtime series The Tudors. 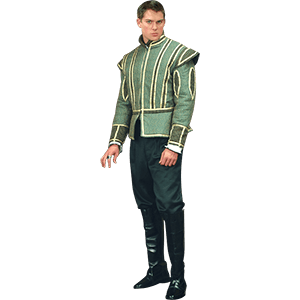 We carry all the licensed Tudors clothing from characters King Henry, Anne Boleyn and Queen Katherine. Shop here for Tudor authentic jewelry, jousting helmet, and the Tudor Sword. All these Tudor replicas are of high quality and will make you look like the king and Queen from the Tudors drama. The Tudors is a drama that focuses on the early years of King Henry VIIIs nearly 40 year reign (1509-1547) of England. The first series takes a look at the often overlooked, early political relationships as well as Henrys trysts with such notable women as Katherine of Aragon and Anne Boleyn. In addition to alliances with famous female consorts Catherine of Aragon and the infamous Anne Boleyn, the series delves into Henrys political relationships with philosopher important figures like Sir Thomas More, Cardinal Wolsey (head of the Catholic Church of England during its break with Rome) and Charles Brandon, Duke of Suffolk, who was Henrys best friend and unofficial advisor. The second series looks at King Henrys struggle with the Pope over his divorce, and his marriage to Anne Boleyn as well as the creation of the Church of England. Season two will further explore King Henrys history, eventual beheading of Ann Boleyn and the Reformation and the birth of his daughter Elizabeth. The series is shot on location in Ireland. Michael Hirst, writer of the Oscar-winning movie Elizabeth, is the series creator, writer and executive producer. Tim Bevan, Eric Fellner, Michael Hirst, Gary Howsam, Morgan OSullivan and Ben Silverman are the executive producers. Teri Weinberg is the co-executive producer. The Walking Dead takes place in an apocalyptic world where zombies have overrun civilization, telling the story of a handful of survivors in this uncertain environment. Here we carry an excellent array of official Walking Dead merchandise featuring characters such as Rick Grimes, Daryl Dixon, Merle Dixon, Michonne, The Governor, Carl, Glenn, Maggie, and Tyreese. Certain unfortunate characters also appear in their zombified states, along with iconic walkers from the series. These Walking Dead collectibles include Walking Dead POP figures, Walking Dead bobble-heads, and Walking Dead keychains, among other items. 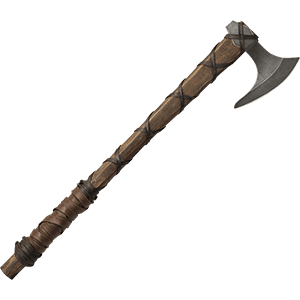 Also, check out Walking Dead weapon replicas, such as the iconic sword wielded by Michonne. 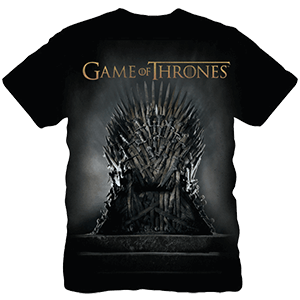 Come back regularly to see newly added items like Walking Dead t-shirts and other apparel. 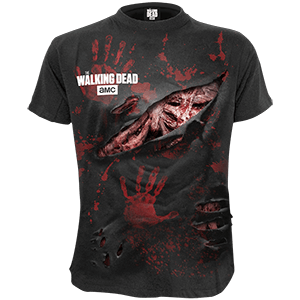 Fans of this hit TV series or the comic books that inspired the show are sure to find something of interest here among our licensed Walking Dead products! Based off of the book series by Polish author Andrzej Sapkowski, The Witcher video game franchise follows the protagonist Geralt of Rivia, one of the last remaining Witchers - genetically enhanced and trained individuals with special powers who hunt monsters in the medieval fantasy world. Fans of this action role-playing hack and slash game and its sequels can now enjoy the Witcher series in a whole new way with the collection of licensed Witcher merchandise offered here. 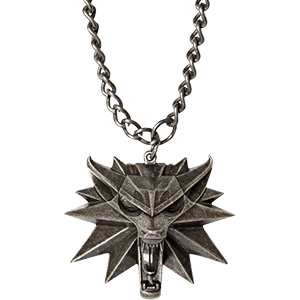 We carry a great selection of Witcher apparel and Witcher collectibles for fans, such as Witcher t-shirts, Witcher jackets, Witcher medallions, Witcher keychains, and more. Whether you want to dress as a Witcher yourself or simply show off your favorite game to friends, you are sure to find great Witcher products here to suit your taste! We are proud to announce our Tristan and Isolde collection, which includes replica clothing and Tristans sword. Tristan and Isolde was a blockbuster film produced by Ridley Scott. We have the authentic movie clothing like the Tristan Shirt and the Tristan Leather Jerkin. The Tristan sword has a well-tempered high carbon steel blade and a fuller down most of the sword. The Tristan sword is fully functional and can be used in sword fighting. Tristan and Isolde is a sweeping, action-packed saga of epic battles, political intrigue and forbidden passion, set in a time when the lines between heroism and savagery were etched in fire and carved out with broadswords. After the fall of Rome, visionary warlord Marke (Rufus Sewell) seeks to unite the squabbling English tribes to form one strong nation and defeat brutal Irish King Donnchadh. But when Lord Markes greatest and most loyal knight, Tristan (James Franco), falls in love with Isolde (Sophia Myles), a beautiful Irish woman, it threatens to destroy the fragile truce and ignite a war. In the spirit of Braveheart and A Knights Tale, Tristan and Isolde is a rousing tale of trust and treachery that will leave your breathless! In 2004, Blizzard Entertainment released an MMORPG that grabbed the attention of the masses, and has since grown into its own community, one that spans the face of the globe. Now, 9 years later, Azeroth is practically a world unto itself, and the World of Warcraft remains a popular game made unique by the fact that no two player characters are exactly the same - quite a feat, given the millions that exist! And now, we are jumping into the World of Warcraft craze by offering you a wide assortment of different items, based on the lore we collected in Azeroth! 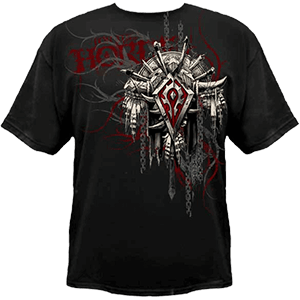 For some cool apparel, we offer you a smattering of choices, ranging from faction shirts, jackets and hoodies, allowing you to support the Alliance or the Horde no matter where you go. 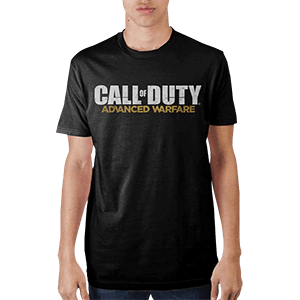 We also offer class t-shirts, so that you can show off what class you play, when you log in. And of course, we also offer a number of other accessories too, like wallets, stickers, decals, and more! Now, even when you log off, you can take a bit of Azeroth with you, all thanks to some of the great WoW gear that you can get right here.